This tax season The UPS Store on Clemson Blvd is offering 15% off Air Services to get your taxes to their destination on time! How does 10% off your printing needs sound? Well for the next month, The UPS Store on Clemson Blvd is offering 10% off your posters, banners, and flyers for any upcoming events you may have! Worried that your shredder isn't up to the task of the mountain of paperwork you have on your desk? The UPS Store is offering you our shredding services for $0.75 per pound of shredding! Come see us to ensure the privacy and protection of your paperwork. The UPS Store is your professional packing and shipping resource in Anderson. We offer a range of domestic, international and freight shipping services as well as custom shipping boxes, moving boxes and packing supplies. The UPS Store Certified Packing Experts at 3300 N Main St are here to help you ship with confidence. Looking for a notary public in 29621? The UPS Store at 3300 N Main St offers convenient notary services near you. Stop by today to get your documents notarized and check another item off your to-do list. Traveling abroad? Need to renew your passport? Stop by today to get your passport photo taken at The UPS Store location on 3300 N Main St.
Get easier checkout and flexible billing for your small business. Learn about opening a house account at The UPS Store on 3300 N Main St. 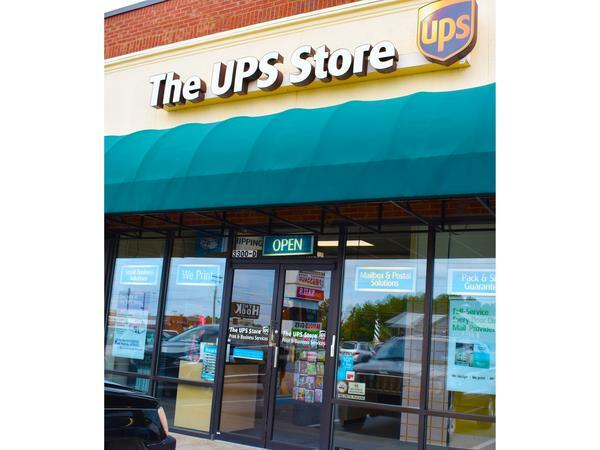 The UPS Store in Anderson, SC is here to help individuals and small businesses by offering a wide range of products and services. We are locally owned and operated and conveniently located at 3300 N Main St.
We've got you covered. The UPS Store Mall Parade Plaza in Anderson, SC offers the following products and services.